Tarin Woods is a family-oriented community full of unique homes near Wrightsville Beach. There are over 1,000 homes in this community. Each home is well-built and creates a tight-knit community filled with people who enjoy taking advantage of everything Wrightsville Beach and downtown Wilmington has to offer. 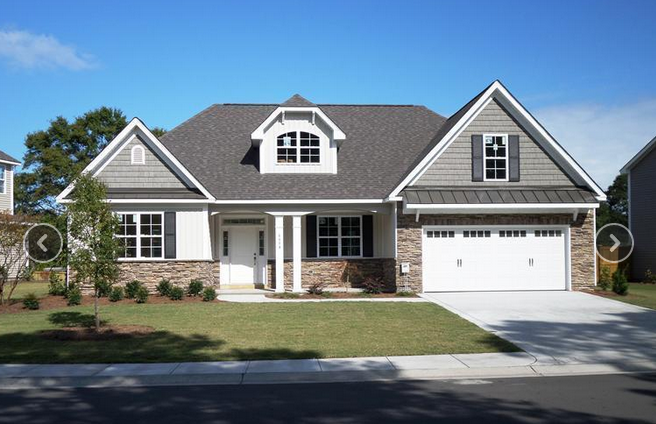 Tarin Woods’ homes feature granite countertops, stainless steel and wood flooring. There are also options that will allow you to customize your home and make it special. Every person wants their home to be special and customization will allow that to happen and this community allows for everything your dream home could include. Since the majority of the homes in the community have yet to be built you have ample time to customize your home. Wilmington’s WAVE consists of a bus, shuttle and trolley system. The wave is affordable and can be caught any time of the day or night. The downtown trolley system is free for residents and visitors. The schedules ensure that everyone can arrive to their destinations, and each stop is conveniently located. With potential fuel shortages and environmental concerns, it’s always a good idea to take public transportation. When you do your part, you can preserve our natural resources. Battleship North Carolina is a great place to go and learn more about the history of the area. The Wilmington Water Tours will provide opportunities to learn more about the area also while cruising on the Cape Fear River. The Henrietta III is often used as a taxi to the Battleship North Carolina. The tour on this boat requires one and a half hours. The evening tours requires four hours, and there are dinner theater cruises and dinner dance cruises. Wilmington’s oldest attraction is Thalian Hall which in 2009 celebrated its 150th anniversary. The building has been restored to its original luster after undergoing a major renovation. The renovation has attracted many more people to the area to view this architectural structure. Ghost Walk of Old Wilmington spotlights one of the most actively haunted cities in the world. The inhabitants of this place have witnessed pirates, slaves, war and disease ravage the area. These walks, along with the Haunted Pub Crawl are informative and fun for all. Wilmington, N.C. is known for its three island beaches and the historic river district. This area has numerous places to spend time with family and friends. There are festivals and events throughout the year. Theatre, museums and shopping are available to entertain the residents of the area. The Wilmington Wine and Chocolate Festival is always a hit annually also. For more information about Wilmington or about Tarin Woods in particular, please contact us!